When do I Replace an Ink Cartridge in the HP PhotoSmart D5069 Printer? 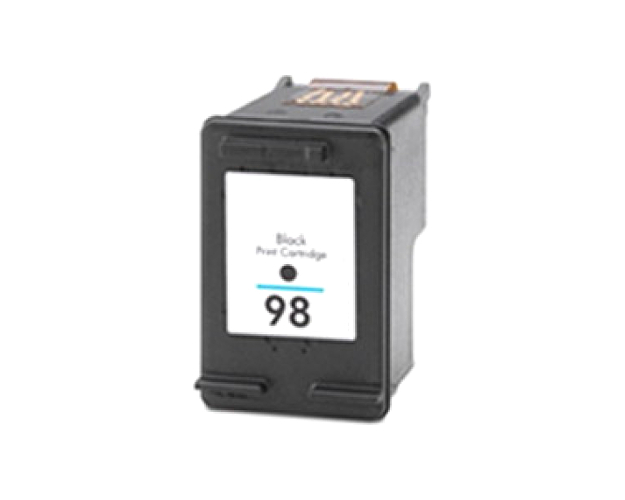 You should replace all problematic ink cartridges, if they are compatible products correctly installed in your inkjet printer, but the [Status] LED is still blinking red. 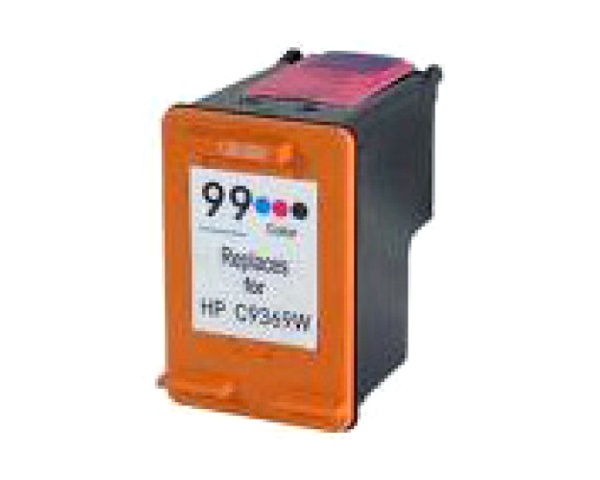 Please note that you can try printing in ‘’Ink Backup’’ mode, if you don`t have a replacement ink cartridge in stock. However, you should still purchase and install new ink cartridges of the corresponding colors as soon as possible, in order to be guaranteed optimal print quality results. The complete replacement procedure is included below. 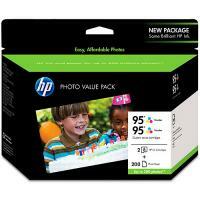 Initially, you must make sure that your PhotoSmart printer is on, and then open the main printer cover. 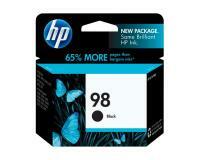 Please note that the black ink cartridge is located in the slot on the right, and resp. 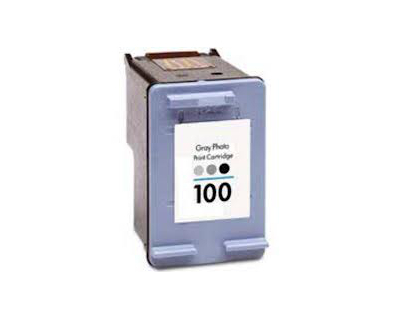 the tri-color ink cartridge is located in the slot on the left. 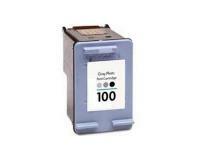 Once you have located the problematic ink cartridge, you have to remove it from the corresponding ink cartridge slot by carefully pulling it towards you. Please avoid touching the nozzles or the copper-colored contacts of the new ink cartridge. 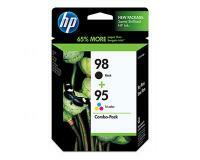 In the next step of the replacement procedure, you must take the new ink cartridge of the corresponding color out of the transport box, and then remove the clear protective tape from the new component by pulling the pink tab. 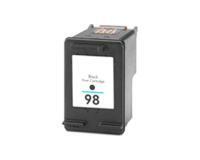 After that, you must insert the new ink cartridge into the appropriate slot, but please make sure that the copper-colored contacts go into the slot first, and then gently push the new ink cartridge towards the slot to lock it into place. Finally, you must load paper into the tray, and then close the main printer cover. 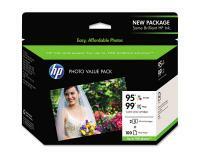 Please note that your HP PhotoSmart D5069 Printer will automatically print a cartridge alignment page. You should check the marks on the alignment page to verify that the new ink cartridge is installed correctly. HP PhotoSmart D5069 TriColor Inks Twin Pack (OEM) 330 Pages Ea.